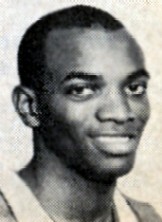 Drafted: Selected by the Detroit Pistons in the first round (2nd pick overall) of 1964 NBA Draft. How can I reach Joe Caldwell? I know he lives in either Tempe or Chandler and I live minutes from there. I was friends with him when he was in Atlanta and Carolina. and he was fantastic !